You can boost your freelance business in under an hour? Really? Doing business development work can seem like yet another onerous task that gets in the way of the things you’re supposed to be doing. Like, well, writing. However if you want to run a sustainable and successful freelance business, it is essential. In this podcast episode, I have condensed your business development tasks into a simple 60-minute plan, to help you to get a load of bizdev under your belt without the need to sacrifice hours and hours of writing – or fun – time! Hello and welcome to episode 63 of A Little Bird Told Me, the podcast where freelance writers tell you all the tricks of the trade. We’re here to save you from mighty embarrassment and mortifying mistakes, and guide you to the very top of your chosen profession. Freelancing is a funny old thing, so make sure you tune in to every episode of this podcast. If you go to alittlebirdtoldme.podomatic.com, you can subscribe to ensure you never miss an episode. You can do that via iTunes, RSS or Stitcher Smart Radio – we’ve made it really easy to sign up and be the first to hear our latest words of wisdom. On that page, you’ll also find any links we mention, plus the links to my own websites and social media feeds. I’m Philippa Willitts and today I’m doing a solo episode without my usual co-host Lorrie, who’ll be back in time for our next dual episode in two weeks’ time. Today I’m going to talk about things you can do in under an hour to boost your freelance writing business. Often if we feel we need to expand, get a few new clients, it can seem like a really big task. There are all kinds of things you can do like designing some flyers or adding pages to your website. They might be helpful but they can take a long time and you might not just get round to them. So what I’m going to talk about today instead is, if you set aside a period of one hour, then by the end of that hour, you’ll have made progress in several areas, all of which can help you make your freelance writing business more successful. And so without further ado, let’s get started. The first task on the list of things you can do in 60 minutes is re-connect with an old client. It’s usually far easier to get repeat work from an existing client than it is to find a new client, build and develop that new working relationship. So, chances are you have some clients you’ve worked for in the past but who have dropped off your radar a bit. This is a good time to make contact with them again. Now, you don’t have to send them a pitch for work – you don’t need to be too blatant about the fact that you’re wondering if there’s any work coming your way. Just making contact can be a good way of making sure they remember you exist and that you’ve done some good work for them in the past. I sent a very similar email to that to someone I used to get a lot of work from, and he’s since got back in touch with some work, so it’s paid off – and it only took me about three minutes to draft something that’s suited to him and his style. And just nothing hard-sell, nothing heavy, just a quick hello. Alternatively, you can drop them a line on LinkedIn or say Hi on Twitter. Or, it’s coming up to that big December festival, so send them a Christmas card! Any way you can think of really to remind them that you exist and puts you back on their radar. So that’s task number one. Task number two for how to boost your freelance business in an hour is to read a blog-post or watch a video about a topic you need to know more about. Lorrie and I always talk a lot about keeping your training going. It doesn’t have to be formal training but make sure you’re always learning. So, maybe you’re aware that, say, there’s been a new Google algorithm called Hummingbird, but you don’t know what it is and you’re aware you probably should, given the nature of your work. So find a good blog-post about it on a reputable website and spend five or 10 minutes reading and absorbing the information. Alternatively, it may be that you want to know more about how to use LinkedIn to market your business. Find a couple of good blog-posts on that, read those and see what information you can apply to your own situation. Or if you have a specialist area you write in and you want to make sure you’re on top of the latest developments, spend five or 10 minutes looking up a good blog-post, or a video on YouTube or Vimeo. The only thing is that it has to be informative and it has to be from a reputable source so that you’re not reading something that’s actually not helpful to you and could damage the way you run your business. So that’s task number two: learning something new. It doesn’t have to take hours and hours. A lot of people will follow you – or not – based on your bio. If your bio consists of something you thought was funny six months ago but doesn’t really mean anything now because it was related to a TV programme, or you offer a wider range of services than you did six months ago, have a look at your bio. Try and look objectively and ask if it represents you now, shows you in the best light and is a successful and effective piece of profile information. This is what a lot of people will use to decide whether to follow you, or to get in touch with you with regards to some freelance writing work. It only takes a few minutes but it’s well worth your while. Task number four is to ask one or more of your happy clients to write you a recommendation or a testimonial. I put this in partly because I’m really bad at doing it myself: I get self-conscious, it feels cheeky and I mean to do it but then don’t get round to it. So this is as much a prod to myself as it is to anyone listening. If you have positive reviews on your website, your LinkedIn profile, this helps your business a lot. It reassures potential clients that you can do what you say you can do, and it provides social proof which is the phenomenon, where, if people see that other people like something, they’re more likely to go with it themselves as well. Lorrie did a whole episode on social proof a while ago, so I’ll link to that in the show notes – it’s well worth a listen. If you think about it, if you’re on a website and you’re not sure whether to trust the claims made on it, if you read genuine customer reviews, it can sway you one way or the other. There are different ways to ask for a recommendation or testimonial. A simple one is to email, say, three recent clients and ask them whether they’d mind sending you a few words about the work you’ve done for them that you can put on your website. Alternatively, you can approach people on LinkedIn and ask them for a recommendation on there. Lorrie did this recently – I’m sure she won’t mind me saying this. She asked some clients if they’d write a few words about what she offered them. And because I know this is something I get stuck on myself, I asked her advice on how to go about it. And something I really liked about what Lorrie had done was that, in asking for these testimonials, she actually pointed out a few specifics that those people might like to mention. What that meant that any recommendations she did get contained the kind of information that’s useful to prospects before they hire you. You can use your recommendations in a variety of ways. I have a page on my website for reviews and recommendations that people have left me and I update that from time to time. If a person does it through LinkedIn, that will appear on your profile as soon as you approve it. Some people put them on flyers or postcards that they send out; others even put them on business-cards so if you can spare some space on there, that could be helpful. There are lots of ways you can use recommendations and, as well as providing really good social proof, it can be a little boost to your confidence – and we all need one of those once in a while, let’s face it! Point number five in how to improve your freelance writing business in 60 minutes is to make contact with a potential alliance colleague. Now, we’ve talked about this quite a lot in this podcast – there are other freelancers and small businesses you can make contact with who offer different services to you, but services that are related in some way. 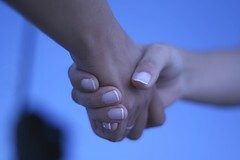 And these relationships can be really important because you can mutually refer clients to one another. If a client asks you to recommend, say, a web designer – if you have a client you’re writing a new website for, they might ask you to recommend someone. Similarly, there will be web designers whose clients say to them, “I don’t suppose you know a good copywriter, do you?” because they might as well have new text to go with their new design. So making contact with people in that kind of profession can be really valuable for both of you. It’s the kind of thing that has to be mutually beneficial, so that you’re not asking a favour so much as coming up with an agreement that benefits for you both. It leads to goodwill, which can only be a good thing, but also it can work both ways. In terms of how to make contact with these potential alliance colleagues, this will very much depend on whether you already have a relationship with these people or not. It might be that you already know a great team of web designers, or a printing company who sometimes needs to recommend someone to fill a brochure with content. Don’t just limit yourself to web designers, even though that’s the example we nearly always come up with! There are all sorts of people who might need copywriters and who, equally, copywriters might need to refer to. So let’s have a look at printers then, for the sake of a change. These are people who print business cards, brochures, flyers, leaflets – anything you can think of. Maybe a client’s asked you to recommend a good print company. Now if you have a connection with a print company that you know is good quality, you can recommend them to your client. Similarly, someone might contact that printing company and say, “We’re after new brochures – I don’t suppose you know someone who writes them?” Now if you already have a relationship with them, then they can refer to you. So how do you go about this? If you’re in a situation where you have no contact in that company, then making contact could be as simple as saying Hi on Twitter and saying, “Hey, it’s nice to make contact with another local business!” You might make contact on LinkedIn, which is a more professional based networking opportunity. And certainly, just for this 60-minute task that we’re doing today, just make contact, introduce yourself, say hello and make a good impression. Alternatively, if you have already made contact with someone and you’ve been thinking, “Yeah, actually, that woman who works there could be a great mutual referral connection…” and if you feel you have a good enough relationship so that you know first of all that they offer great work, because you certainly don’t want to refer someone who doesn’t because that makes you look bad by proxy. But if you’ve thought about it, you like them, you think you can help each other and you know they do good work, this may be the time to make a suggestion about this. Ask whether they fancy meeting for coffee if they’re local, or a chat on Skype – or you can even do it by email. Explain why you think it’d be beneficial for both parties. Make it clear that this isn’t a favour you’re asking for, this is a mutual referral – informal but it has the potential to bring you both some nice bits of work now and then. And present it in a positive way, explain why you think it might work, ask what they think. Now if you spend 10 minutes identifying the right person and either making initial contact or, if you have a relationship with them, making a suggestion of a kind of alliance, then that could really blossom into something very positive for you both. Now, task six – and this will take you two minutes maximum – is a very simple one: put a handful of business cards in your bag, purse or wallet. Whatever you tend to have with you most often, because you just never know when you’ll meet someone who wants your services. You might be having a haircut and the woman in the next chair gets chatting to you about how they’re looking for a writer. You can scribble your email address down but it looks so much better if you can hand them a well-designed, attractive business card. You might be in the post office queue with someone who needs a writer. Some of my best clients have come to me through completely random scenarios – you can go to as many formal networking events as you like but, in my experience, I’ve got just as many clients from those chance meetings. And it’s a real shame if you have one of those conversations with someone in the post office queue, in the hairdresser’s chair, on the train and you can’t take it any further because you don’t have a business card with you. Just always make sure you have five or 10 in your purse and it’ll take you two minutes max at this stage and it’ll pay dividends in future. Keep them topped up and there you go. There will be something – you know there is! Whether it’s sending out a dreaded pitch email, or some overdue invoices, adding a new blog post to your website – there’ll be at least one thing, so just choose one that you know you’re supposed to be doing. As you’ve given over an hour to follow the tasks in this podcast, use however long you have left to make a really good start on that task. It might be that you’ve been putting it off so long that you imagine it’ll take you three hours whereas it’ll actually take you 10 minutes. Some tasks will take you longer, but once you’ve made a start, it’s a lot easier to carry on with. So all you need to do for the remainder of this hour is to make a start on whatever task you’ve identified. Just to make a start. Not necessarily finish it, although you may well – once you’ve started it, chances are it’ll just flow. So just make a start. So those are my seven quick wins that will make a real difference to your freelance writing business and that you can do in under 60 minutes – let us know how you get on! And so now it’s time for the Little Bird Recommendation of the Week, in which we recommend something we’ve seen, read, played with, thought about or learnt that might be of interest to our listeners. 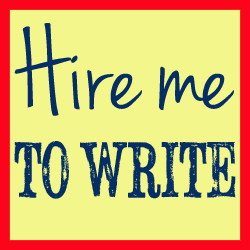 My recommendation this week is an excellent blog post by Jennifer Mattern of All Indie Writers. It’s a great blog – if you don’t subscribe already, then do. And this post is called, “Relationship Marketing Basics for Freelance Professionals”. Now, this is stuff that, if you’re a regular listener, you’ll know we talk about the importance of those things a lot. We probably don’t always frame them as relationship marketing, but that’s what it is. And this blog post is great – it gives five simple, easy tactics you can use to improve your relationship marketing and even if you just choose one or two, it can make a real difference to how you relate to your clients, how they relate to you and how they think of you when you pop up in their inbox, or indeed their mind. So I’ll link to that post in the show notes as always, so head over to alittlebirdtoldme.podomatic.com to find the link to Relationship Marketing Basics for Freelance Professionals on the All Indie Writers blog. So that’s just about that for episode 63. Thank you so much for listening. Make sure you head over to alittlebirdtoldme.podomatic.com. Find our Facebook page, say hello, find links to mine and Lorrie’s sites and social media stuff and we’ll see you next time.